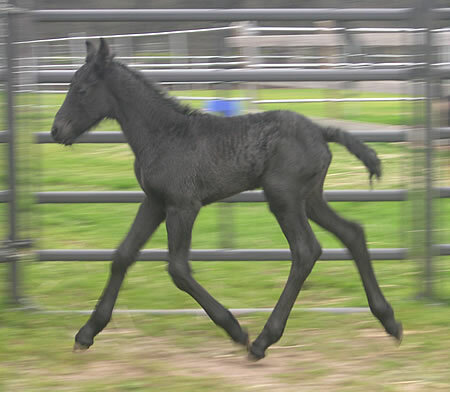 " NIKLAUS RS " (Lolke 371 Sport x Sape 381 x Olof 315 x Oefe Pref) 6/2012 Friesian Colt out of our Prov. Kroon mare! 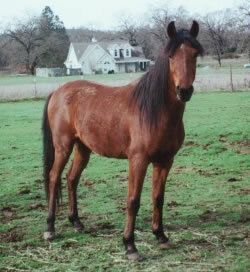 Nikki's Mother was imported from the Netherlands as a weanling! As a 3 year old, she received 1st premie Ster, Champion Mare, Keuring Champion and Prov Kroon! As a 4 year old she received another 1st premie and Reserve Keuring Champion. Nikki is an amazing mover with tons of personality. 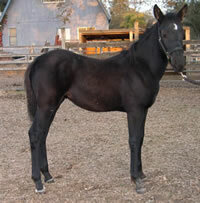 He is all ready tall and should mature to be a good size with Lolke as his Father and his Mother standing approx 16.2. 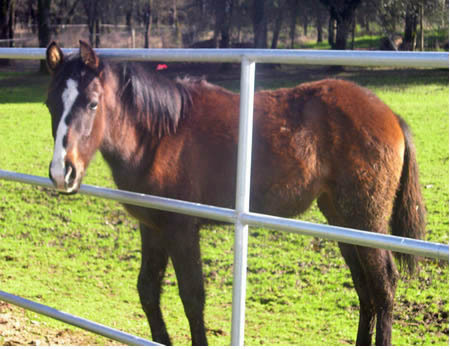 He has nice hair and is a super sweet boy..
****SOLD Congratulations to Janna in Sonoma, CA!
" ARAMIS RSA " (Calisto MHF x Indiano XVIII x Adelante II ) P.R.E. 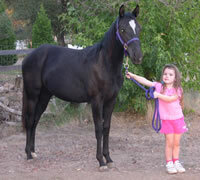 Black Andalusian STallion born July, 2010 - UC Davis color tested Homozygous Black, NO grey! Pedigree includes : Indiano XVIII, Navarre GF, Joya GF, Teadoro, Gaurapo, Genil, Ladina, Adelante II, Regalado II and Leviton.... Another beautiful Calisto baby has amazed us once again! 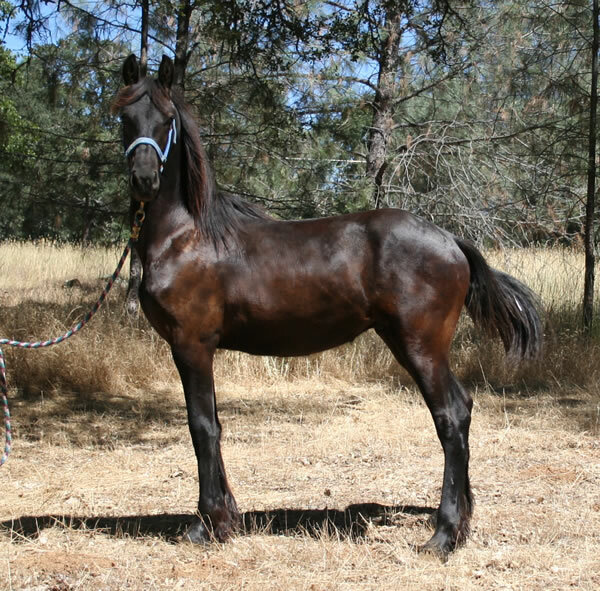 This stallion looks like a carbon copy of his Father. He is such an wamazing sdtallion! 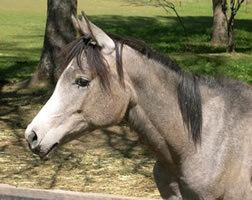 Check out his full sisters, Contessa RSA and Marquesa RSA His Mother is our grey Indiano mare and stands 16.1h. 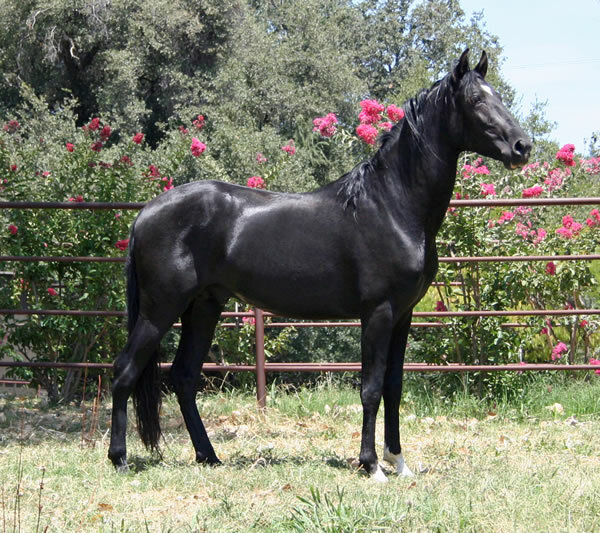 His Father is our 16.3h Homozygous Black stallion, Calisto MHF! Excellent choice for your breeding program, dressage or all around prospect. Eligible for inscription for Spanish papers with ANCCE and Registration with IALHA. "BANDITO RSA" - (Calisto MHF x Tchula) P.R.E. 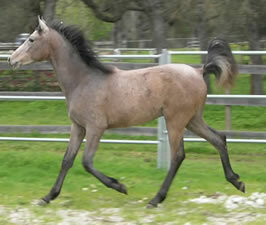 Andalusian Stallion born May 2011. He was born on Cinco de Mayo! 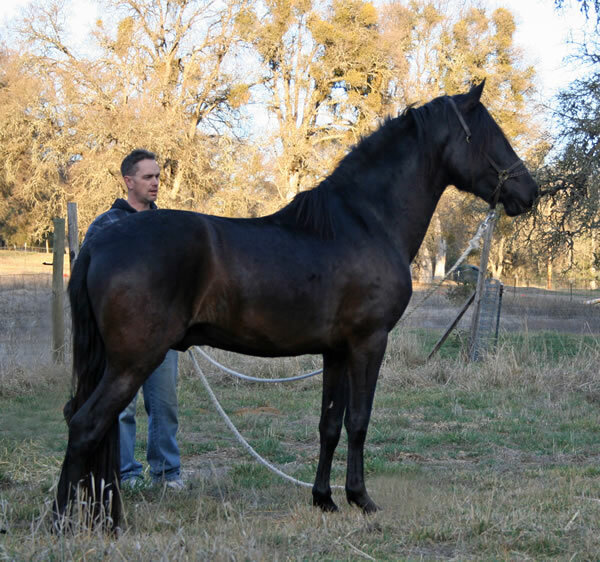 His Father is our 16.3h Homozygous Black P.R.E. Andalusian stallion, Calisto MHF. 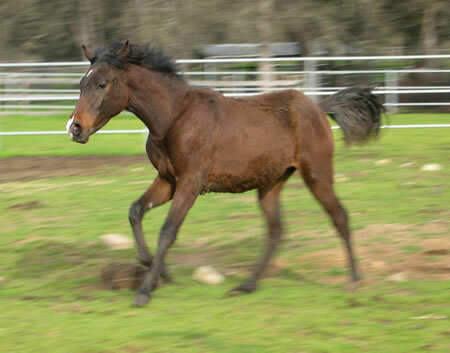 Calisto's pedigree includes Navarre GF, Teodoro, Guarapo, Genil and Joya GF. His Mother is our 17.1h Bay P.R.E. Andalusian mare Tchula by Gaucho III our of a Remador II mare. He has an amazing pedigree filled with huge Dressage horses and Champions on all sides. Bandito has incredible ground covering movement with lots of suspension and elasticity. He just floats! He is allready getting tall and measured 15.3h at barley 3 years old and is still growing! Excellent fro your breeding program, dressage or all around prospect. Eligible for inscription for Spanish papers with ANCCE and Registration with IALHA. 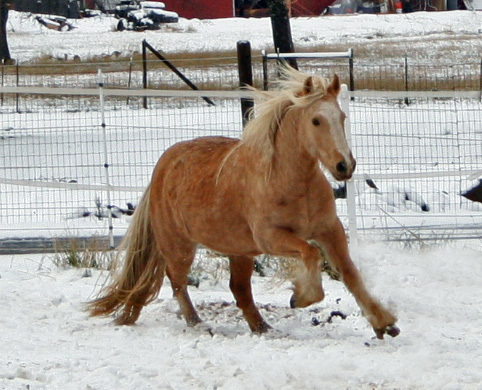 "FINNEGAN RS" - (Dragonfire x Aneira) Rare Cremello Gypsy Stallion born 05/2011 - His Mother is our Palomino mare Aneira that was imported from England. 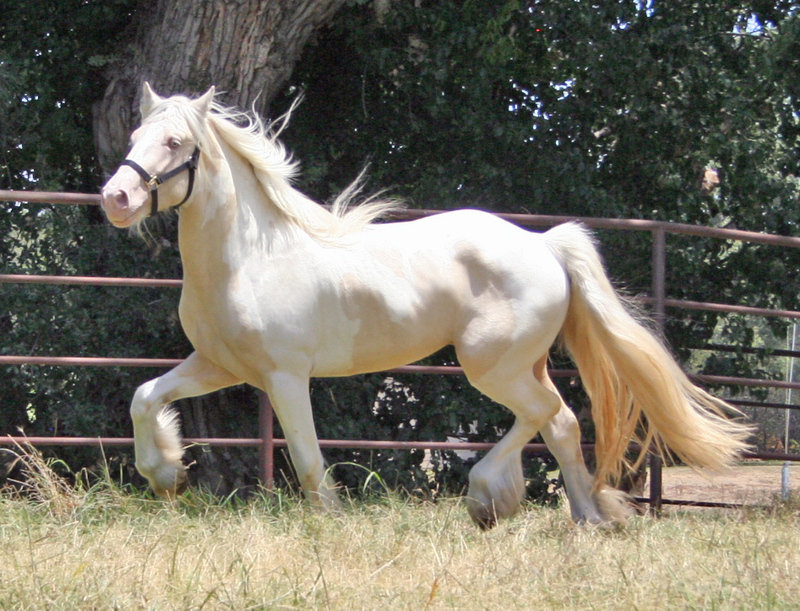 His Father is Dragonfire, a Palomino Tobiano stallion by "Romeo". He has an incredible pedigree on both sides with his Mother being by Flash of Gold and out of a daughter of The Boss. His Father Dragonfire is a Son of Clononeen Mull of Kintyre "aka Romeo". Finne is a character. He always wants to play. He currently lives with another young stallion and a gelding so he is ver social with other horses. He does talk to the ladies and knows he is a stallion. He is a flashy mover, has nice feathers and a thick mane and tail. We would like to keep him a stallion if possible and retain a couple of breedings to him for our future mares. We currently have no unrelated mares to breed to him which is the only reason he is being offered for sale..
"ANEIRA" means "truly Golden" in Gaelic 2005 Golden Palomino Pure Gypsy Mare - (Flash of Gold x The Raini Mare by The Boss -UK) Imported from England as a yearling. 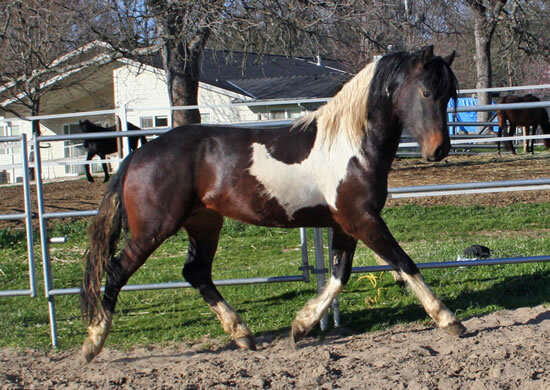 Her Father is a 15.2h, Golden Palomino stallion and her Mother is a Black and White mare still living in the UK. Aneira had 90 days Pro training, but has not been ridden recently so she needs a tune up. She is a powerful and flashy mover, with an elegant and refined build. She has had 2 foals and is an excellent Mom. 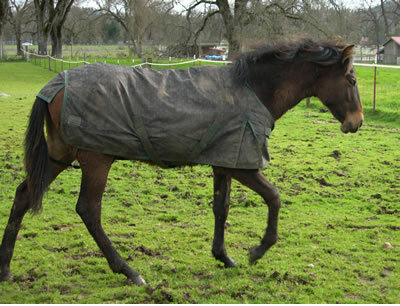 She even took on an orphan colt from another mare as her own!